It’s ALL the rage and it’s all kids seem to be talking about and playing with! Right now, Slime is the “it” thing and although it took me a long time to let the kids play with it and make it, my girls who are 11 and 10 now make it weekly, multiple times a week! 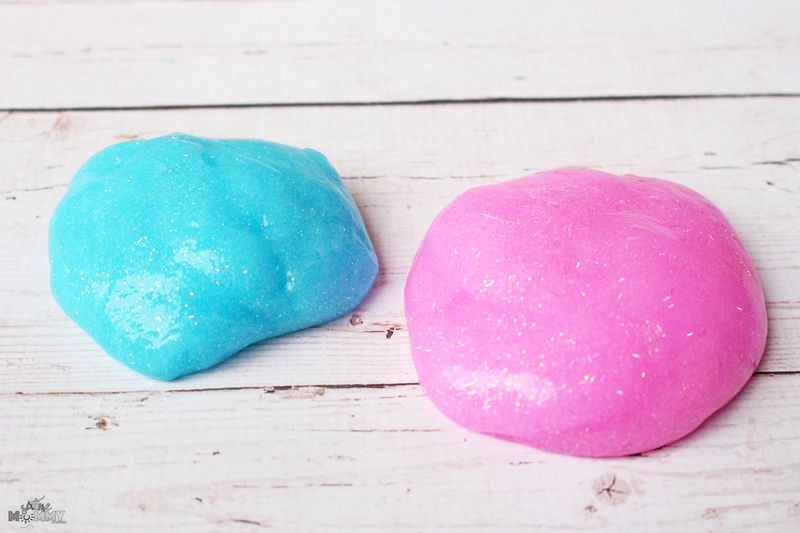 I have never made slime myself, and never will but this slime is so easy (aren’t they all though, really?) my girls make it on their own. In a container of your choice dump out all the glue. Add in tbsp of eye contact solution and tsp of baking soda. Mix well with a spoon. Use hands to continue mixing adding more activator (eye contact solution) if needed. It’s so easy the girls do it on their own all the time. They use their allowance money to buy the items needed. I’m often begged to go to the dollar store to grab other types of glue when we can’t get over to Walmart to grab the Elmer’s. I honestly, don’t see the appeal of this stuff although its fun to sit and poke when you are bored – I don’t see what all the rage is about! Even Justin who is 4 and in Junior Kinder came home a few weeks ago with slime they made at school. 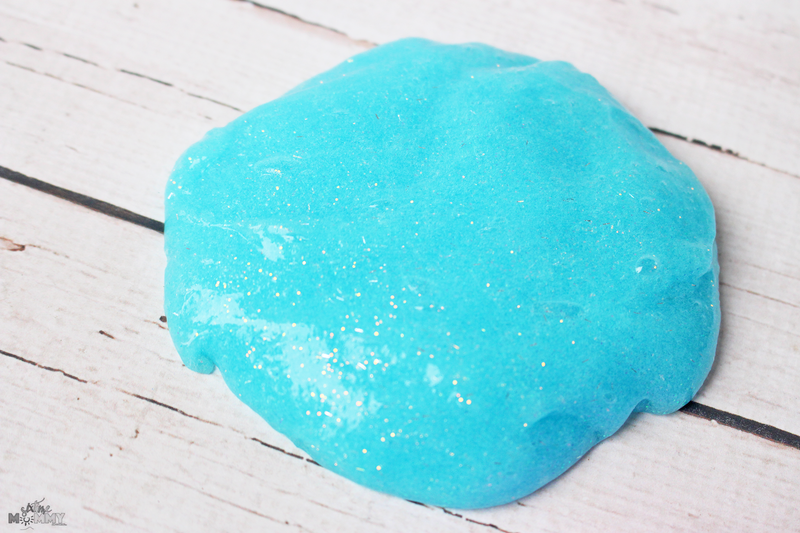 The kids LOVE slime, and it’s a rather inexpensive and fun process for them to learn how to do it. 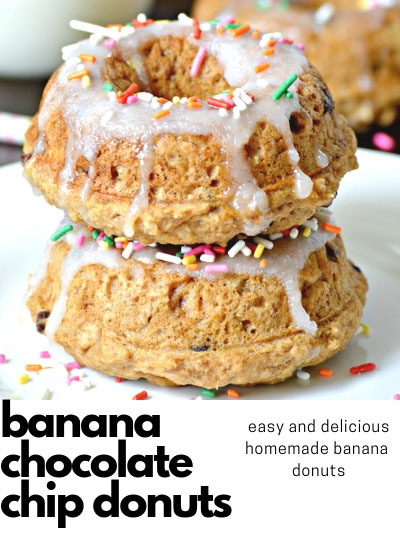 So I really don’t mind them making up batches every once in a while – it’s not even as messy as people think it is! When they first asked if they could make slime I was like DO NOT GET IT ALL OVER THE PLACE! But with practice, they figured out how to do it with zero mess, and that’s just fine with me. 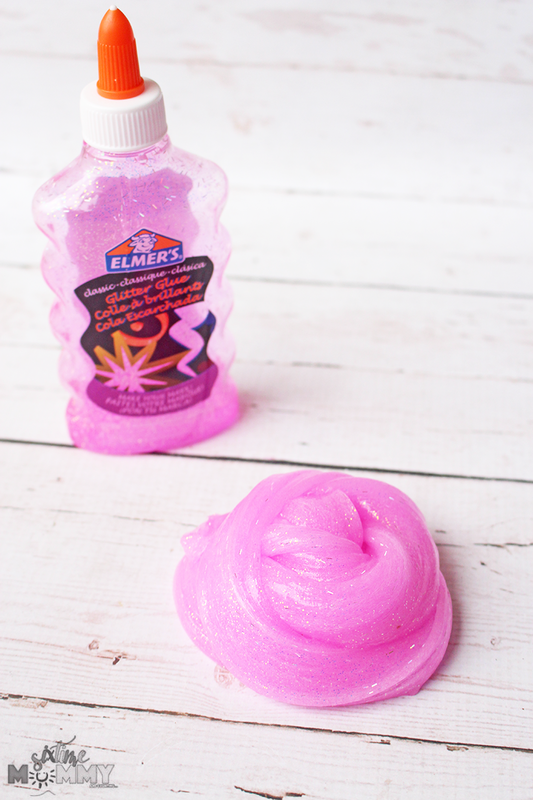 Do you know how hard it is to get slime that wasn’t activated properly out of clothing, hair and blankets? Oh boy. You don’t want ot know. 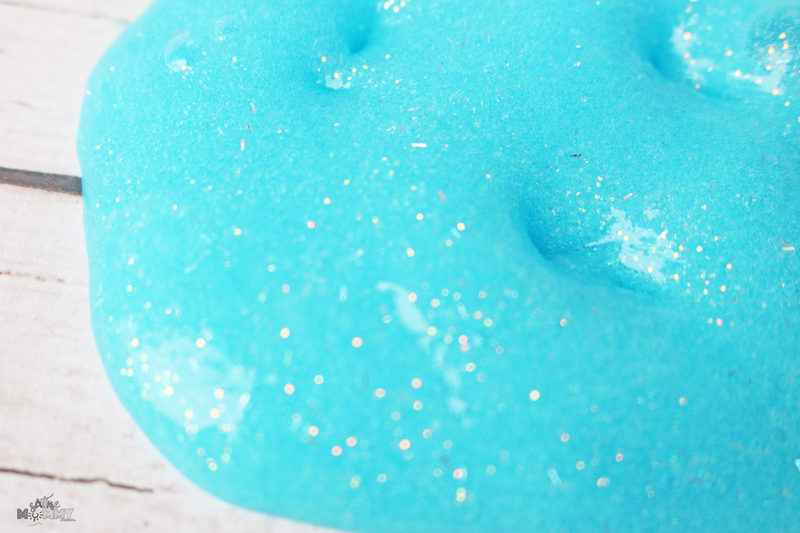 So be sure to get it to the perfect consistency by activating it (with the eye contact solution) and using your hands to work it into the perfect slime consistency. 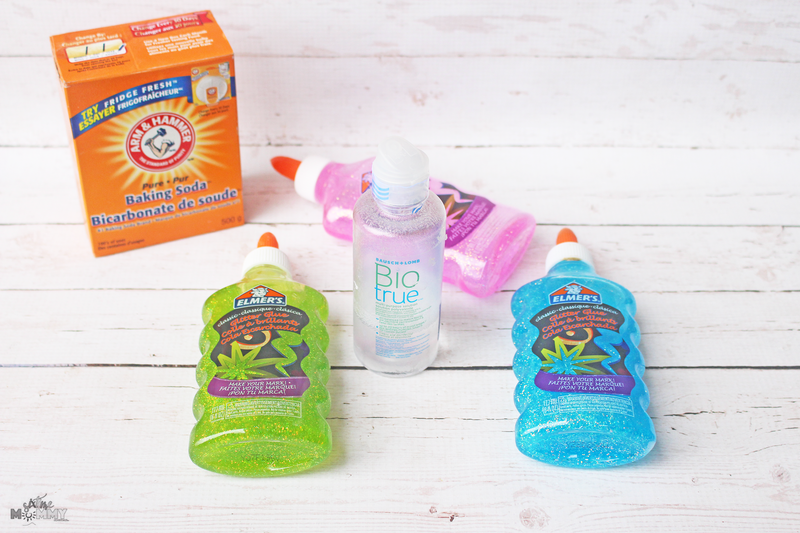 If you are looking for a fun, inexpensive craft the kids can play with slime is a great choice! 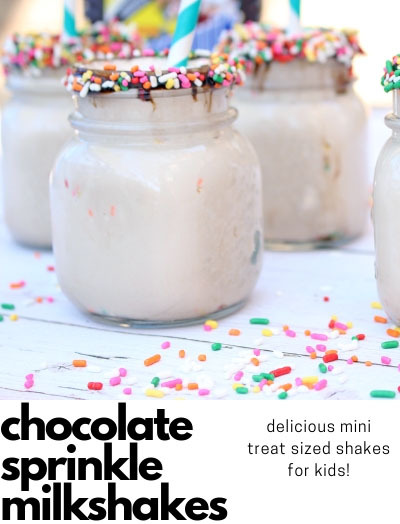 If kept in an airtight container it can last up to a week (sometimes more) and the possibilities are endless with what you can add to it, and even adding scents is a lot of fun for the kiddos!